With a deep sigh, Helen Fields switches on her PC. Another Monday. Another article to write about leadership. Hasn’t everything been written already? 756 million articles. Ouch. But still … Helen knows she can help, encourage, and inspire her readers. While sipping her green tea, she leafs through her notebook with article ideas. Nothing feels right. She doesn’t want to write a humdrum article. She doesn’t want to dump her ideas online. She wants to write with power, passion, and pizzazz. She wants to wake up her readers, electrify them with her words, and jump-start them to change the world. Why write if you can’t inspire change? Why write if people only skim your subheads before clicking away? 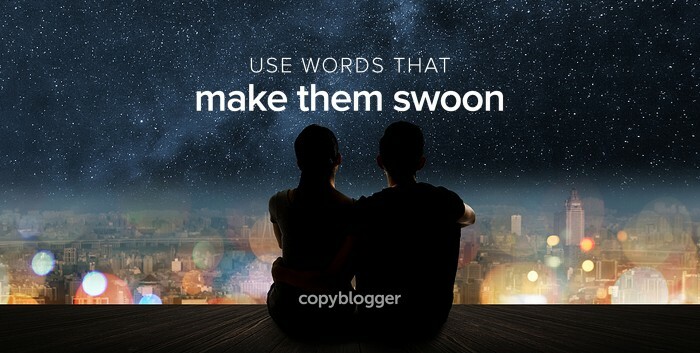 How do you choose vivid words that make readers not only remember — but also love — your ideas? In this distracted world chock-full of content, inspiring readers with your message may feel like an impossible task. But when you learn to harness the power of visual language — when you sketch vibrant images with only words, your message bursts into life. Your message stands out like a red poppy in a sea of grey content. Vibrant. Proud. And memorable. Want to ignite and inspire your readers too? You probably had a portable compact disc player. While other manufacturers were fussing about enhancing sound quality even further, Steve Jobs decided to launch a product with vastly inferior sound quality. Within 11 years, he sold 350 million iPods. Why? Abstract writing fails to connect with readers because you can’t visualize abstract concepts and generalizations. In contrast, visual writing engages readers’ senses and allows them to picture your ideas. As readers start to imagine the positive impact your idea could have on their lives, your ideas become inspirational and memorable. But how do you make your message more concrete? Sensory words are no ordinary words. They pack a punch. They communicate with piercing precision. Research shows people read sensory words as if they feel the silkiness, hear the buzz, and see the sparkle. Your vision might be vague. To make your content more sensory, first look for key sentences in your writing — which words should readers remember? Visual words: Paint vibrant or gloomy pictures. 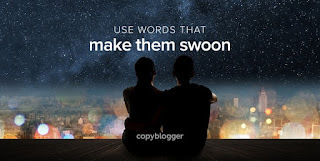 Tactile words: Cut the fluff and make your sentences silky-smooth. Auditory words: Create a buzz and let your words sizzle. Words related to smell and taste: Turn bland writing into zesty sound bites. Motion words: Put on your dancing shoes, and let your sentences swing and swirl. No one “right” word exists. Which words appeal most to you? Which words paint the most vibrant picture? Which words give you goose bumps? Embrace your inner poet and nurture a sense of fun. Experiment. Play. Metaphors help people visualize and remember ideas by comparing abstract ideas with concrete pictures. Do you remember Felix Baumgartner’s record-breaking sky-jump for the Red Bull Stratos project? Imagine this guy free-falling at 833.9 miles per hour, smashing through the sound barrier. He couldn’t feel the air movement. Because of his full-pressure space suit, he couldn’t feel his extraordinary, supersonic speed. He said afterwards it’s like swimming without feeling the water. Bland blog posts have a similar problem. They present useful tips without feeling, without imagination, and without the power of visual language. Do you touch your readers with your words? Or do you let your readers swim without feeling? Give yourself permission to have fun, and allow your mind to wander freely. Look for connections between two completely different topics. Compare ideas — a process to a process, or a thing to a thing. Writing skills with cooking skills: Like a chef needs to learn how to chop, sauté, roast, and grill, a writer needs to learn how to choose words for impact, how to create a smooth reading experience with transitional phrases, and how to create a pleasurable rhythm. Cooking ingredients with words: Like a chef tastes a dish before serving, you need to know when your content lacks flavor. You have to spot weak phrases. And just like a chef grinds a little extra pepper, sprinkles a few coriander leaves, or drizzles extra lime juice, you need to balance the flavors of your writing too. The writing process with the cooking process: You prepare a curry step by step; first you chop the veggies, grind the spices, and then you let the ingredients simmer for a while. When writing blog content, it’s the same. You don’t have to do everything all at once. Break down the process into steps — idea generation, outlining, writing a first draft, editing, and formatting. Since I love cooking (and eating! ), cooking is my favorite source of metaphors; you may prefer other topics such as gardening, parenting, traveling, or sports — all good sources for metaphors. Nervous about finding original ideas? Don’t be afraid to reuse metaphors — you can make them your own by adding sensory details. And it burns like a fire in your belly. But you can’t create the future alone. You need Travelers to come along. Yet the path through the unknown is dark and unclear. You have to illuminate the path for travelers. Torchbearers communicate in a way that conquers fear and inspires hope. When I started writing, I didn’t believe I had any creative talent. But I wanted my messages to stand out. Because I wanted to be heard. Encouraged by the guidance in Anne Miller’s book The Tall Lady With The Iceberg (formerly titled Metaphorically Selling), I mustered the courage to write my first metaphor. My secret to embarking on this creative journey? Foster a sense of fun. Get away from your computer. I get my best ideas while making spicy meatballs, pedaling my bike, or when listening to the murmur of rain on a walk. I also started hunting for sensory words and created my own collection of favorites. That’s how my writing improved and my voice evolved. Even better … people engaged with me because the metaphors gave them a glimpse into my life. The metaphors turned out to be excellent conversation starters. Come on. Dare to be that red poppy shining brightly in an ocean of grey content. Let your ideas sparkle, shimmer, sing, swing, swirl, shock, and sizzle. You’re the leader your readers are waiting for. Get ready to spark change.